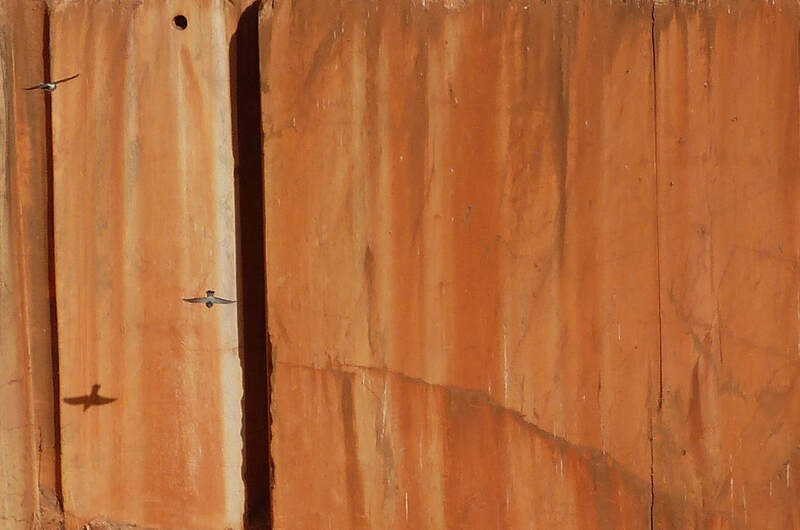 About 10 km from the Herdade da Marmeleira, the location of Foundation OBRAS, begins a region of 50 x 10 km where marble is near to surface level. Its quality was recognized by the Romans and is still highly valued, including by sculptors. Generally the colour is whitish with a flare of rose or almond. Small crystals give it a lively appearance, even after polishing. You can collect marble for free around the quarries. OBRAS has some basic equipment (both for sculpting by hand and by machines) for marble sculpting. 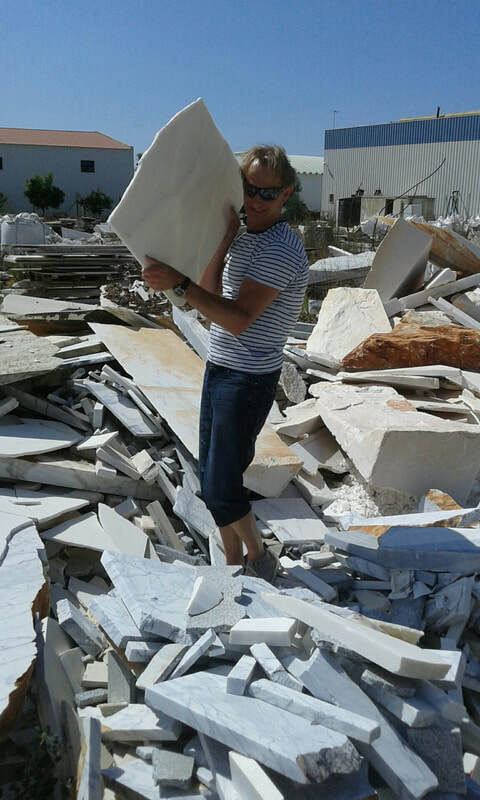 But also worth, and sometimes breath-taking is to visit the marble quarries. 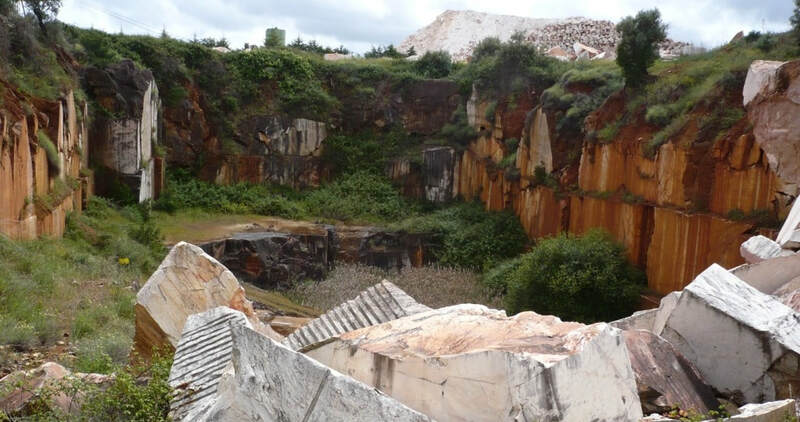 Of the 400 marble quarries 350 are abandoned. 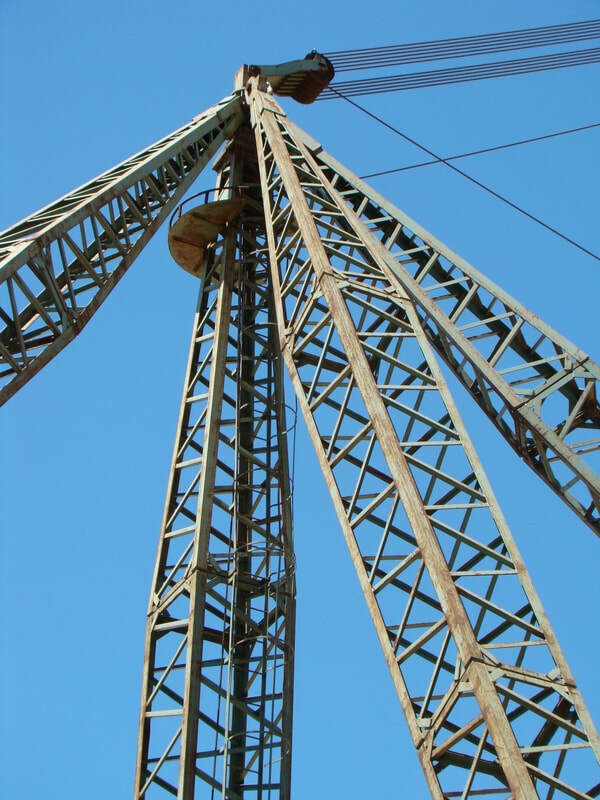 In some cases they leave behind a desolate hole surrounded by rusty mining equipment, but others have an incredible beauty due to their unique shape, color and silence, and the memory of greatness. Especially the ones with a lake inside are highly attractive. 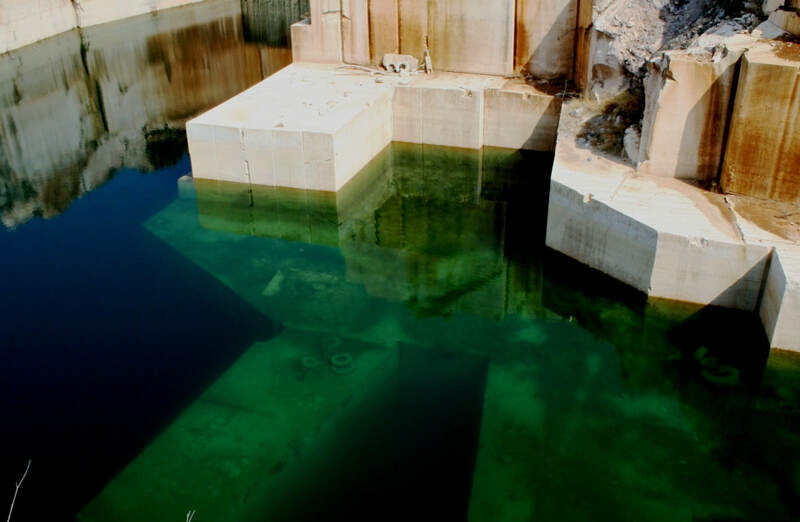 Both the active and abandoned quarries can be visited on your own. 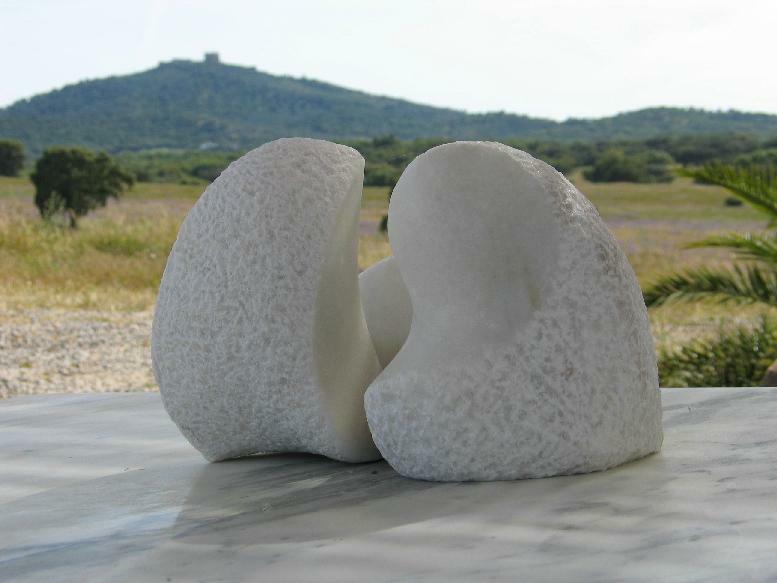 Some artists in residence follow the tradition of marble sculpting without machinery. In average it takes about a week to make one piece. Others request a commercial enterprise to cut a block of desired size before starting to sculpt themselves. And others use stone cutting machines. Ask us before what are the available tools, the spatial conditions, the limitations in terms of noise etc. Click on this page for an impression. 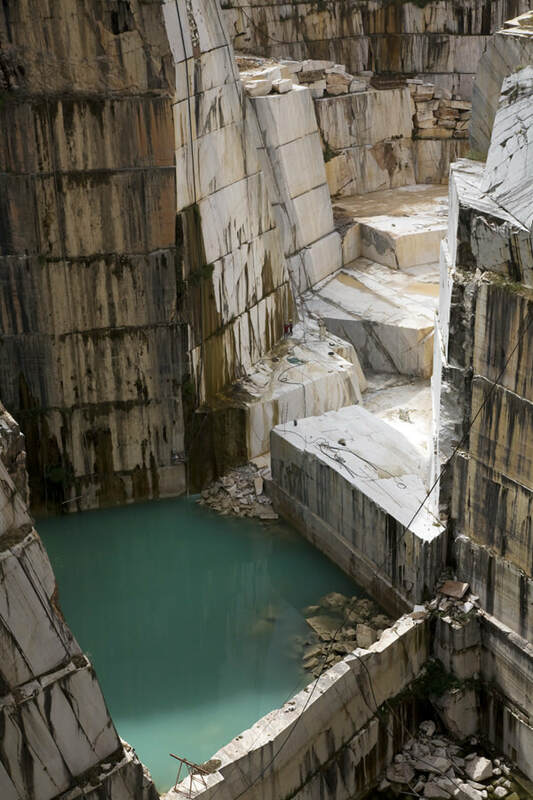 Other artists are fascinated by the marble quarries itself as a landscape element, a working place or a man-made structure of rarely seen dimensions. 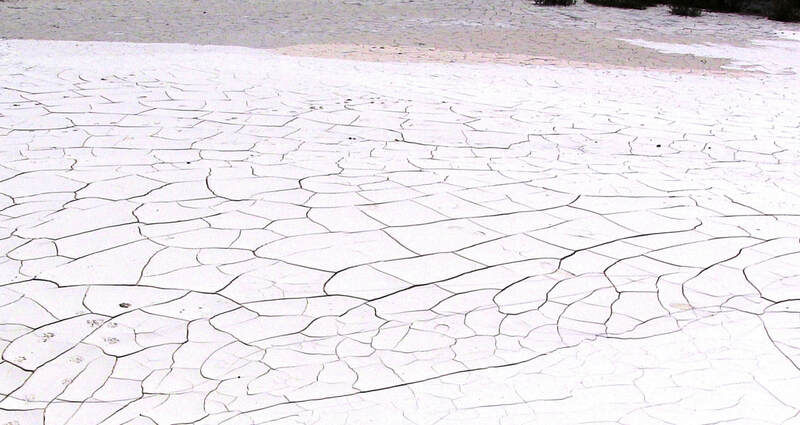 Also, the immense piles of marble waste, the lakes in some of the quarries, the flocks of pigeons, the sound and light and even the rusty machinery triggers the fascination and inspiration. 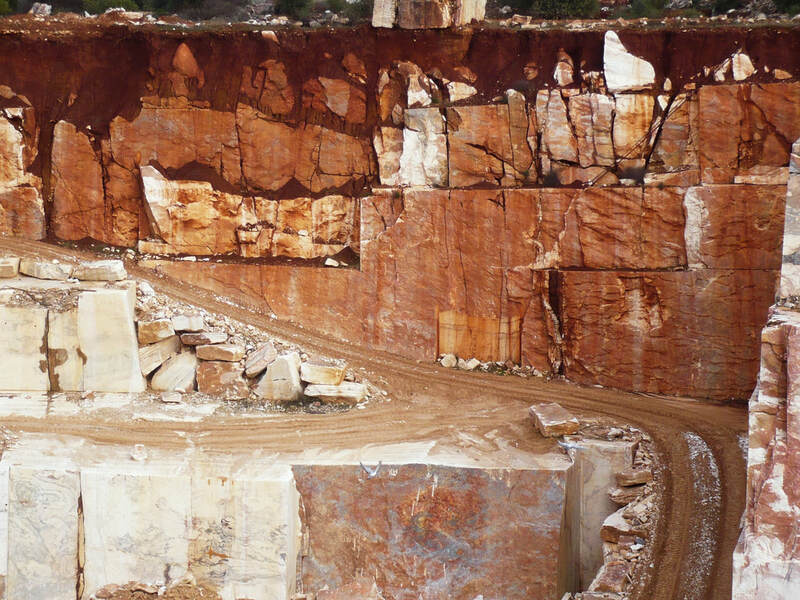 Some quarries are on walking distance of city centres and can easily be visited. But others are remote and you need a car or our assistance to come there. See this page for a selection of photos and paintings made by residents. 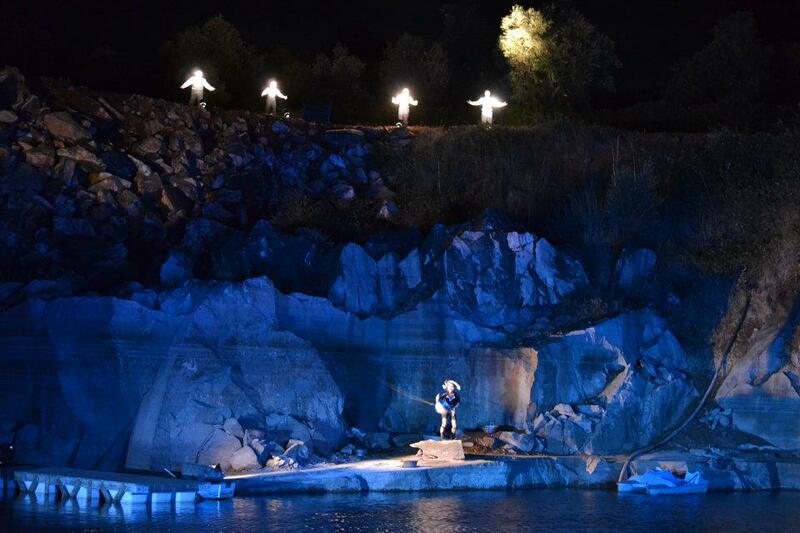 Some quarries seem to be made for theatrical performances, including stages and places for audience. Although it is an open air venue the sound and light are mysterious as you are at least 10m below the surface. 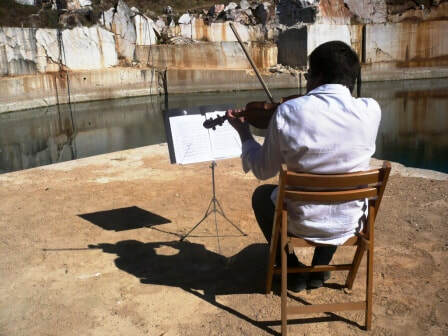 We did several informal try outs (dance, music, exhibition) with more than satisfying results, but to organize a formal public event in a quarry is not easy because of safety and logistics. Once we initiated and co-produced a very ambitious and successful theatre production: the Divina Commedia 2.0. 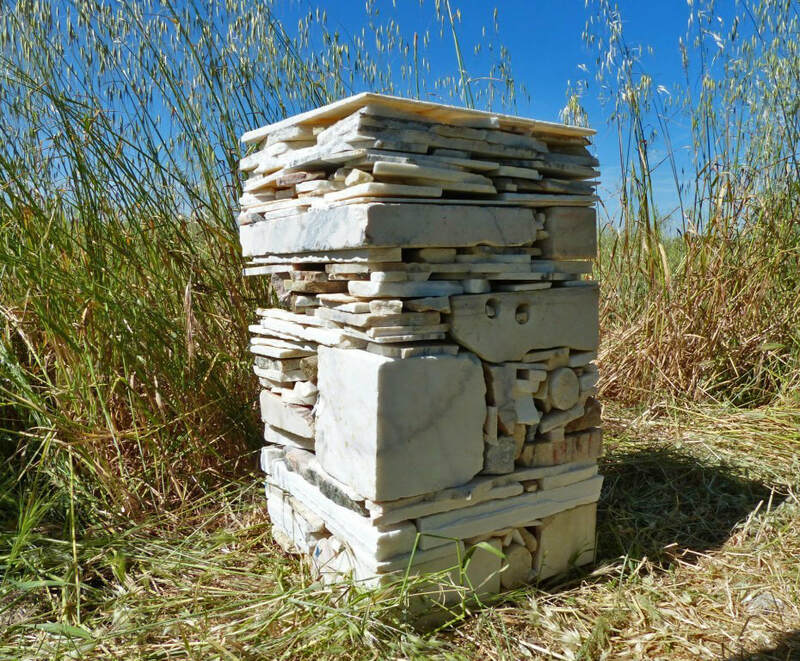 The artists couple Dan and Trish Scott realized a series of projects, assuming that the abandoned marble quarries were temples of an ancient civilization. Click on this page for an impression on these and other theatrical events. We can bring you in contact with institutions that may be interested to host your event. 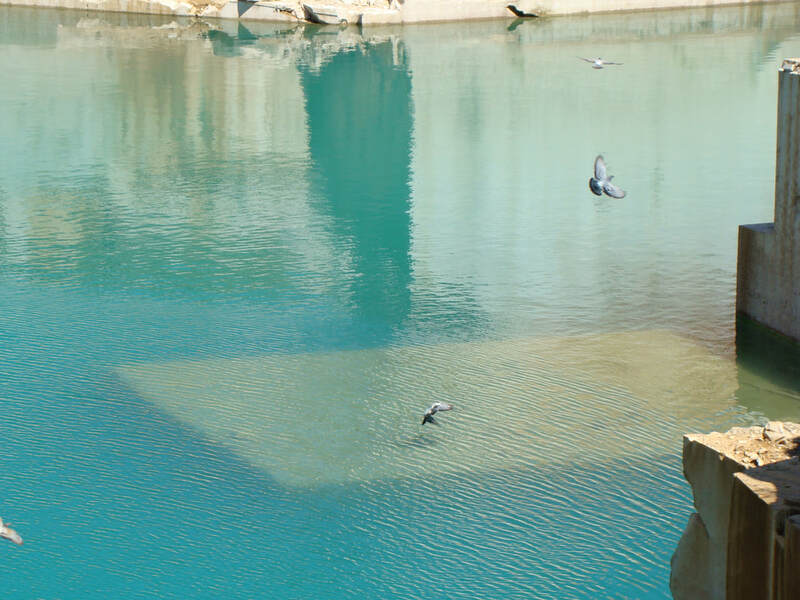 Some years ago OBRAS proposed to upgrade an abandoned marble quarries towards a thematic park. The proposal was ranked as the best out of 62, but proved to be too innovative to be realized in the short term. See this page for the full proposal text.